In the winter of 1992, nearly one hundred years after motion pictures were invented, the first nationally distributed feature by an African American woman was released in the United States. The film tells the story of an African American sea-island family preparing to come to the mainland at the turn of the century. In her richly textured, highly visual, lyrical portrayal of the day of the departure, Julie Dash evokes the details of a persisting African culture and the tensions between tradition and assimilation. 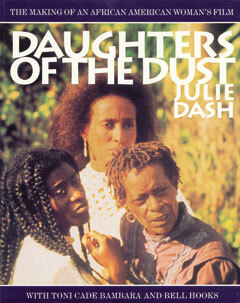 Daughters of the Dust: The Making of an African American Woman’s Film, which includes Dash’s complete screenplay, describes the story of her extraordinary sixteen-year struggle to complete the project.